Let’s start off by giving a HUGE thank to Susan Hanks Photography!! This wonderful photographer travels to us every year to take beautiful pictures of our dancers and we love her! Another thank you to all the parents for bringing your children to class in their costumes and looking fabulous! We know this time of year gets crazy and we appreciate all of your hard work! Lay out everything your dancer will be wearing or bringing to class the night before. This way you won’t forget anything. Practice doing your dancer’s hair. Buns can be tricky and hair does’t always cooperate. Don’t wait till the last minute to figure out what you need to do to keep your dancer’s hair in place. Pack extra tights! Runs do not look good in photos. Make sure straps are sewn on, embellishments tacked down and hairpieces have the necessary attachments. USE HAIRSPRAY! (This goes for the recital too, but we’ll get to that later.) Dance hairstyles don’t always look great up close. What matters is that they look neat from far away and that they stay throughout all the dancing (and wiggling) that children do. Use more hairspray than you ever thought you’d need to use to smooth away whispies and lock buns in place. Have your picture order form filled out before class. The longer it takes for the photographer to organize all the orders, the longer the picture taking process will last. Bored kids don’t like taking photos. Get your child SUPER excited! Talk about how excited you are for them to wear their costumes and to see the recital. Practice smiling and posing with pointed toes. Show them pictures of dancers online so they have an idea of what they’ll be doing. Here’s a great place to look. Make up is optional for pictures. All of our dancers are beautiful and we do not believe that they should be required to wear make up in your photos. However, we do ask that they wear make up for recitals as the lights can wash out their faces. Susan is a very experienced photographer and she knows exactly what she’s doing. Trust her. She will take great photos of your children. Please no personal photos using Susan’s backdrop. If you’d like to take your own photos on picture day, please do so in the lobby or outside. 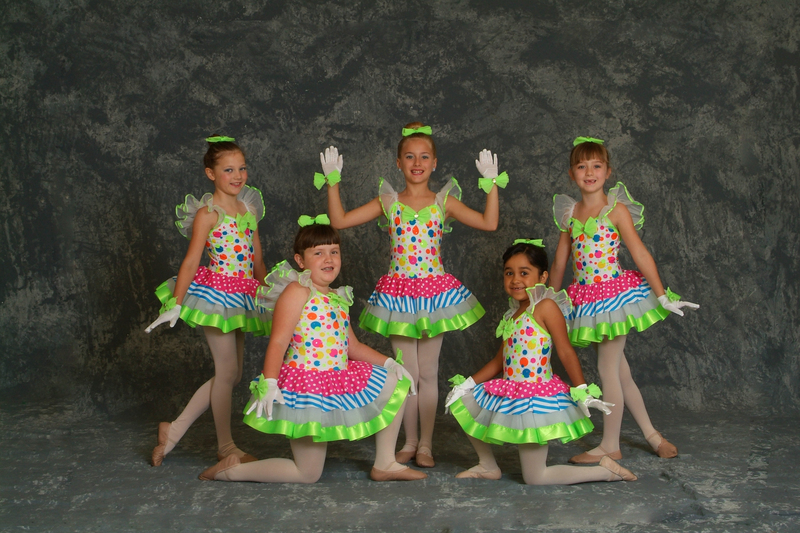 Wishing you a fantastic recital season!